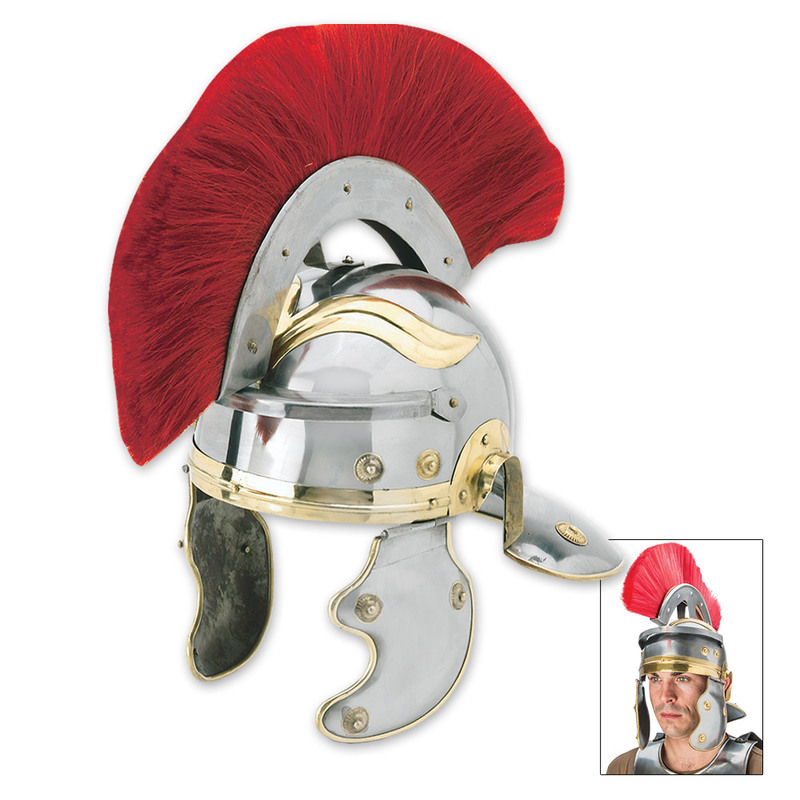 Roman Centurion Helmet With Red Horse Hair Crest | BUDK.com - Knives & Swords At The Lowest Prices! 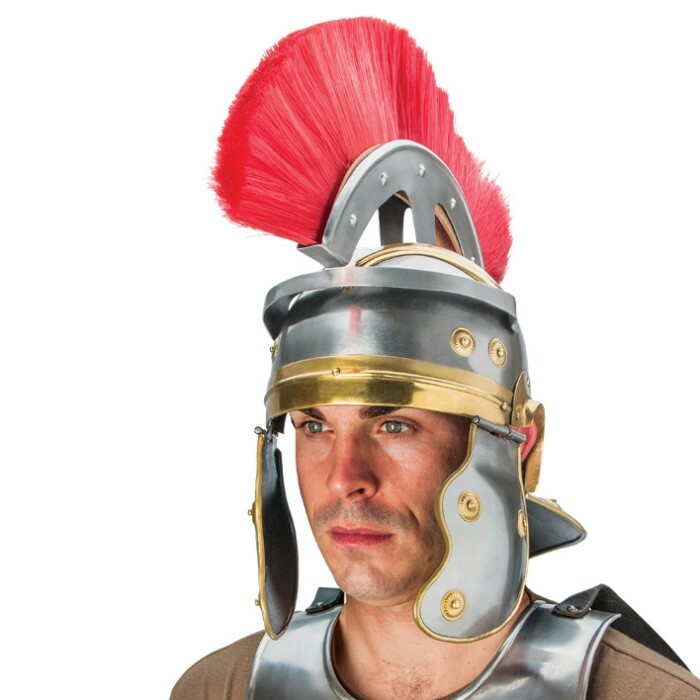 This excellent quality reproduction of a Roman Centurion helmet is perfect for historical and Biblical reenactments. It's made out of 18-gauge steel with brass plated accents and features a red hair crest. The attention to detail on this historical replica is extraordinary and it is built to last through many performances. Make sure that you keep it really clean and oiled, because it rusts very quickly. I have had this for two years, and I love it as a display piece. It is starting to rust, and the cheek flaps are very loose that I need to tighten, but it shouldn't be too tough to do. If you are planning on wearing it, get a cap for it as its a lot bigger than you may think. When I bought this product, I was afraid it might be light and tinny. Not so! It is quite solid. It is tastefully accented with brass. The crest holder is solid, and the crest is good quality and easily removable. There is no helmet liner, which should be clearly stated. Simply wear a heavy cap under it. I recommend sheepskin. The cheek piece hinges are good. You can't beat the price. Thank you BUDK.